Weekend Sports Round-up (15th-18th March): Wicklow advance to Provincial Cup Final Four! 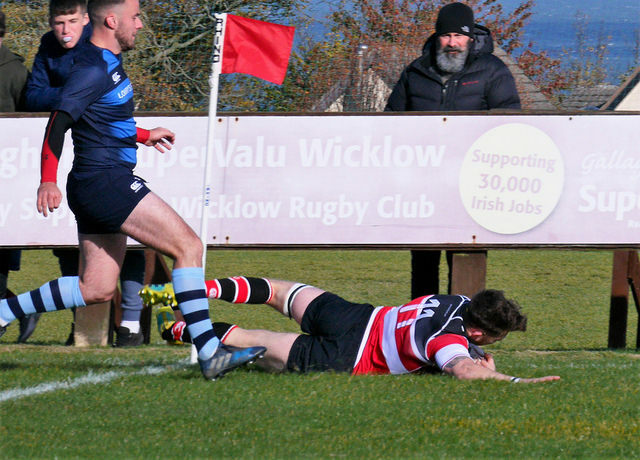 Wicklow are through to the Bank of Ireland Provincial Towns Cup semi-finals after coming from behind to defeat Dundalk this past weekend. The win was part of a jam-packed St. Patrick’s Day weekend, with Wicklow now set to take on Longford in the last four on the 7th of April. In GAA, the county lady footballers marked Paddy’s Day by way of beating Offaly to rise into the top two of the national football league. It was also a hit-or-miss weekend for Bray. Katie Taylor took one step closer to immortality by capturing the WBO world lightweight title in a TKO win over Rose Volante. The next night, Jordan Devlin captured the OTT Heavyweight Championship in the main-event of ScrapperMania V — the biggest night in the history of Irish professional wrestling. At the other end of the spectrum, Bray Wanderers suffered their first two defeats of the season when they lost to Athlone (Friday) and Cabinteely (Monday). For all of these results, and much more, check out our weekly recap below. WBO World Lightweight Championship: Katie Taylor def. Rose Volante (c) via Round Nine TKO — TITLE CHANGE! WBO International Middleweight Championship: Maciej Sulecki def. Gabe Rosado via Unanimous Decision. OTT Heavyweight Championship: Jordan Devlin def. WALTER (c) — TITLE CHANGE! OTT Tag-Team Championships/Loser Leaves Town: British Strong Style (Pete Dunne, Tyler Bate & Trent Seven) def. Kings of the North (Damien Corvin, Bonesaw & Dunken Disorderly) — TITLE CHANGE! Tag-Team World Cup: Aussie Open (Kyle Fletcher & Mark Davis) def. Club Tropicana (Aiden Epic & Captain Sexsea), Besties in the World (Mat Fitchett & Davey Vega), and Rey Horus & Angelico.